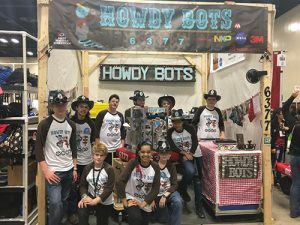 Mention #HowdyBots with your purchase May 1! i Fratelli Pizza DoughNation on Monday benefits Connor’s Foundation. 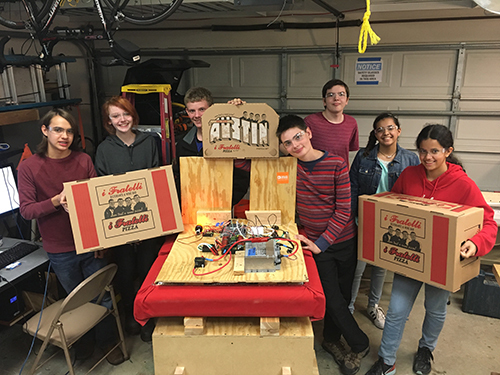 Mention http://www.connorscarshow.com/ with your purchase at any location on Monday April 24 and they’ll receive 15% back to support Down Syndrome Partnership, Cook Children’s Medical Center and White Bridle Therapy. 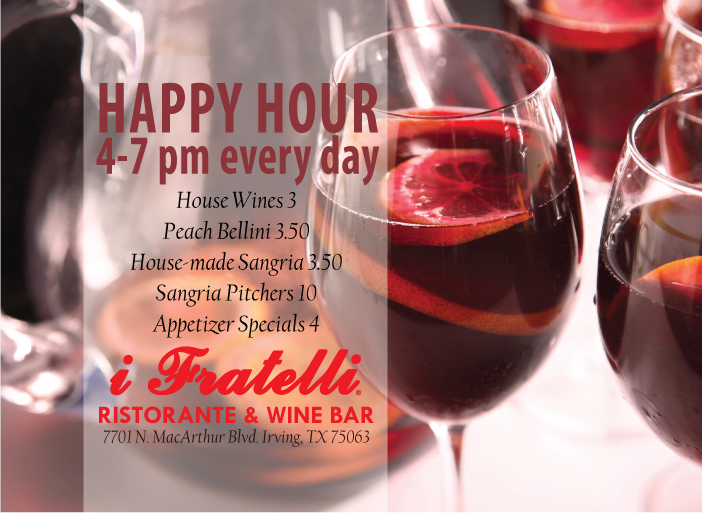 Join us for Happy Hour at i Fratelli Ristorante & Wine Bar, 4-7 pm, 7 days a week. Now offering $4 appetizer specials, including Calamari, Cheese Sticks, Crab-stuffed Mushrooms, and Eggplant Bruschetta. Mention Mohawk Elementary (Richardson ISD) with your purchase on Monday April 17 and they’ll receive 15% back! Applies at all locations. 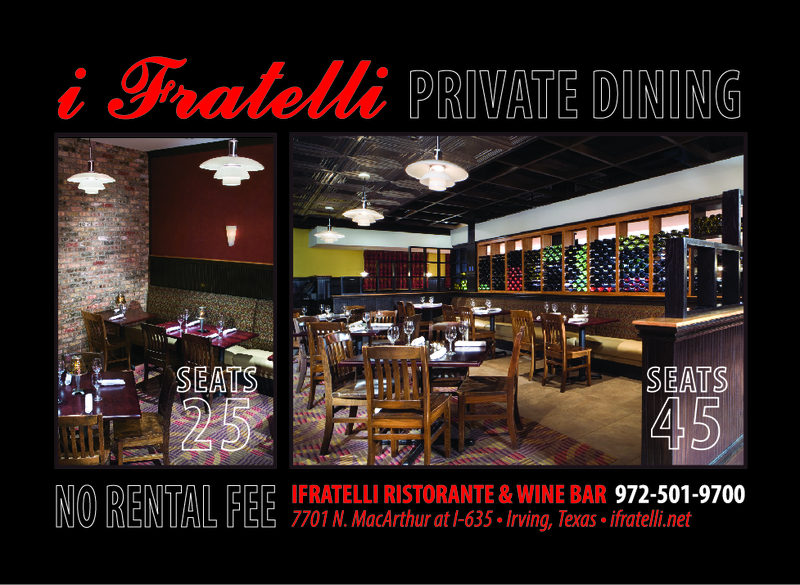 i Fratelli Ristorante & Wine Bar in Irving is a great place to host your special event. We offer two private dining areas free of charge to our guests. Call 972-501-9700 to book your celebration or corporate meeting.